A little firmer than a relaxation massage and may assist in loosen muscles, improve muscle tone, and increase their flexibility. A firmer massage that gets into your knots and sore spots to release tightness and tension. Ideal for those suffering from stress, spending too much time stuck at a desk or feeling the effects of their exercise regime. Remedial massage uses specific techniques to assess and treat the muscles, tendons, ligaments and connective tissues of the body to assist in rehabilitation, pain and injury management. A specialised massage focused on the comfort and wellbeing of Mum-to-be. Helps relieve the aches and pains that often accompany impending motherhood while also strengthening your bond with your baby. 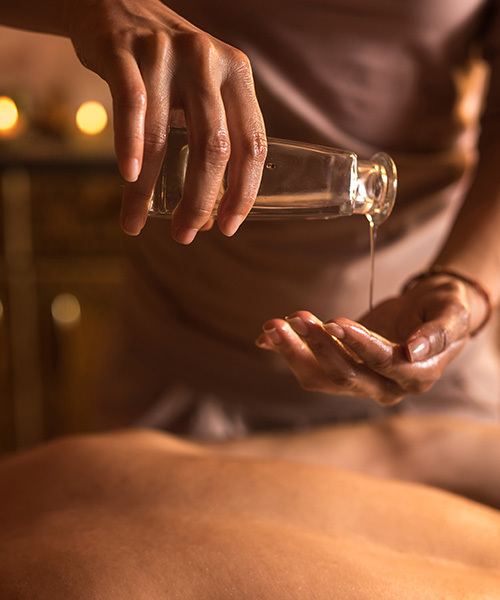 Hot Rocks Massage takes advantage of the penetrating properties of heat to get deep into the muscles and encourage them to soften and release. A truly heavenly experience! A strong, deep massage in which heated bamboo sticks specially shaped to suit the contours of your muscles are used to extend the power of your therapist’s hands. A favourite with athletes.